Our Team: Amy Lindell, MPAS, PA-C | Jay Kruse, M.D. Amy has worked at Orthopedic Partners since 2006 and exclusively with Dr. Kruse since 2011. She has a background in primary care, having worked in Family Practice for several years. 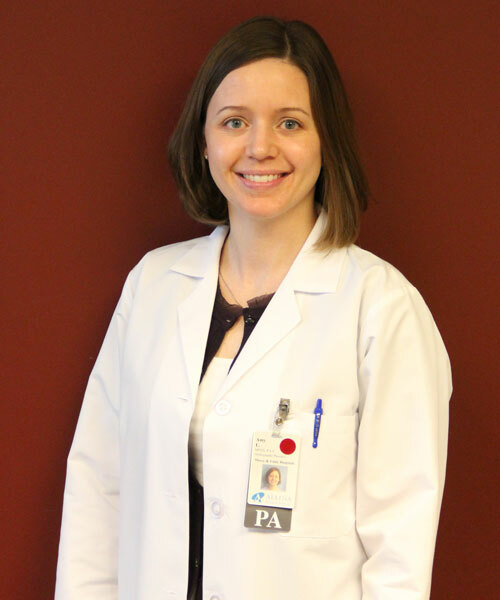 She was excited to accept a position with Dr. Kruse once she began receiving 99% positive feedback from her primary care patients regarding the care they received at Twin Cities Orthopedics. Amy sees patients in the clinic along with Dr. Kruse, first assists in the operating room, and helps manage the care of hospitalized patients postoperatively. In her free time, Amy enjoys gardening, traveling, reading, and photography. She lives in the Twin Cities area with her husband and three children.